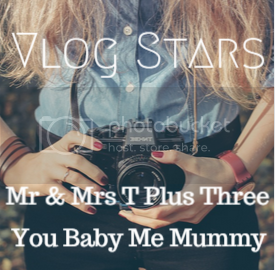 This month, I am linking up with Aby from You Baby Me Mummy and Amy from Mr and Mrs T Plus Three for Vlog Stars April 2016. This month topic is "20 Questions Tag ". Below are the questions if you want to join in. I also joined in Aby and Amy for #VlogStars March 2015 - 5 Things Could Not Live Without and 1 Thing Could Live Without, #9 February 2016 "Work & Life Goals 2016", #5 "A Little Bit of Everything", #6 "Facts & Favourites" and shared Little LadyBug's birth story for #7 "Share a Story". 1. What thing can you not leave the house without? 13. What is your favourite moisturiser?